With more budget cautious brides and the trend of having a less formal affair, these cupcakes make a hit. Many brides want a gorgeous wedding cake but find the cost to be overwhelming and difficult to fit in their budget. Bakers traditional charge about $4.00 and up per slice. You can see how this can get quite expensive. I’m not saying cupcakes are much cheaper. Some cupcakes may take just as long to decorate and may contain expensive ingredients, but there are different ways to decorate cupcakes that can lessen the cost. You don’t need to go with the butter cream icing florets, fresh flowers or pieces of fruit can really make the cupcakes unique and inexpensive. So cupcakes can be cheaper ($2-$4/cupcake) and a great option! Additionally, the reception venue usually charges a fee to serve and piece the cake. This will be reducing if not eliminated with a cupcake wedding dessert. Plus the presentation of the cupcakes can be a conservation piece in itself at your wedding reception. 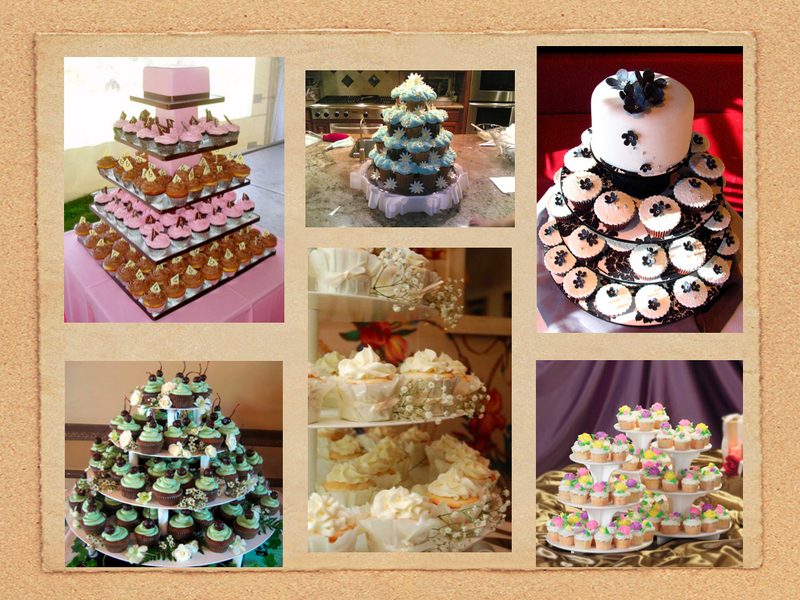 The choice is up to you; have a traditional wedding cakes or the unique trendy option of cupcakes? Check out this video of Colin Cowie and find out just how popular these little sweet treats are!